The all new (January 2017) RYA Yachtmaster online theory course is an advanced course that builds on the knowledge gained on the shorebased Day Skipper course. 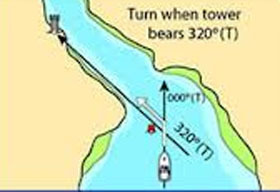 The course is aimed at sailors and motor boaters who are looking to undertake more complex passages, perhaps offshore or at night. This course is a must for those looking to work towards taking the RYA Coastal Skipper or Yachtmaster Offshore practical exams. The Yachtmaster course online is an intensive programme covering advanced navigation techniques, including position fixing, course shaping and plotting, tidal knowledge including secondary port calculations, navigation in restricted visibility, Admiralty publications and electronic position finding equipment. The meteorology tuition within the course includes the taking and interpretation of forecasts, plotting of weather systems and weather prediction. 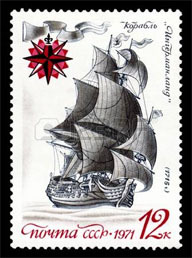 Students are shown how to use this information when planning and executing passage plans. The International Regulations for Prevention of Collision at Sea are dealt with in detail and you will also learn more about yacht stability and safety offshore. Students will need to have a valid RYA Day Skipper theory certificate or equivalent. and have thoroughly revised the Collision Regulations before taking the course. The animated lessons are not matched in any other Yachtmaster online course. They are designed to make learning interesting and questions easy. The majority of Yachtmaster Online courses are mainly narrated videos and slideshows and to be honest, you may as well buy a book. Our Yachtmaster online courses are fully animated lessons with an optional voice over so you get the best of everything. 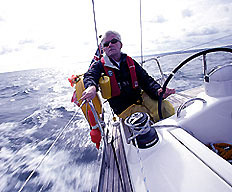 The RYA Yachtmaster online course is provided by Navathome, a RYA Recognised Training Centre specialising in online training, and includes: a course pack consisting of training charts, exercises pack, Yachtmaster shorebased booklet, an electronic navigation download and your certificate, which is normally priced at £40.00. Plus, a Training Almanac normally priced at £7.49 (Day Skipper/Yachtmaster). To Purchase your course just click your preferred payment method below. There is a six-month initial access period to the online theory course. In the unlikely event that you will need an extension, there is an option to extend as many times as you like until you pass your assessment. The cost of administrating each 6-month extension, beyond the initial 6 months, is £30.